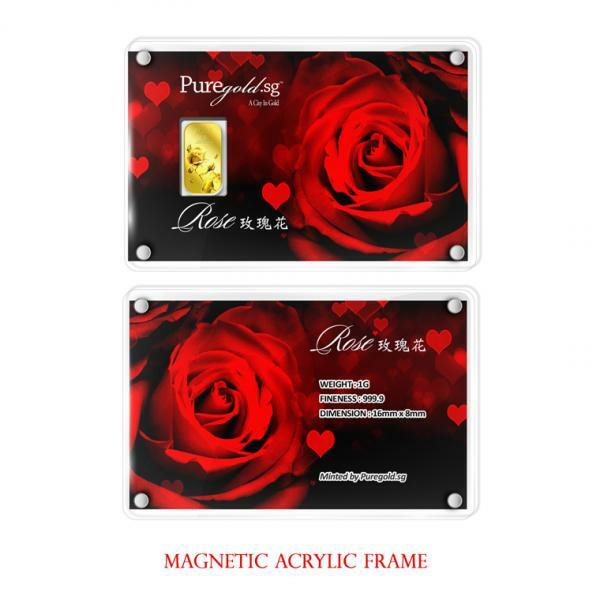 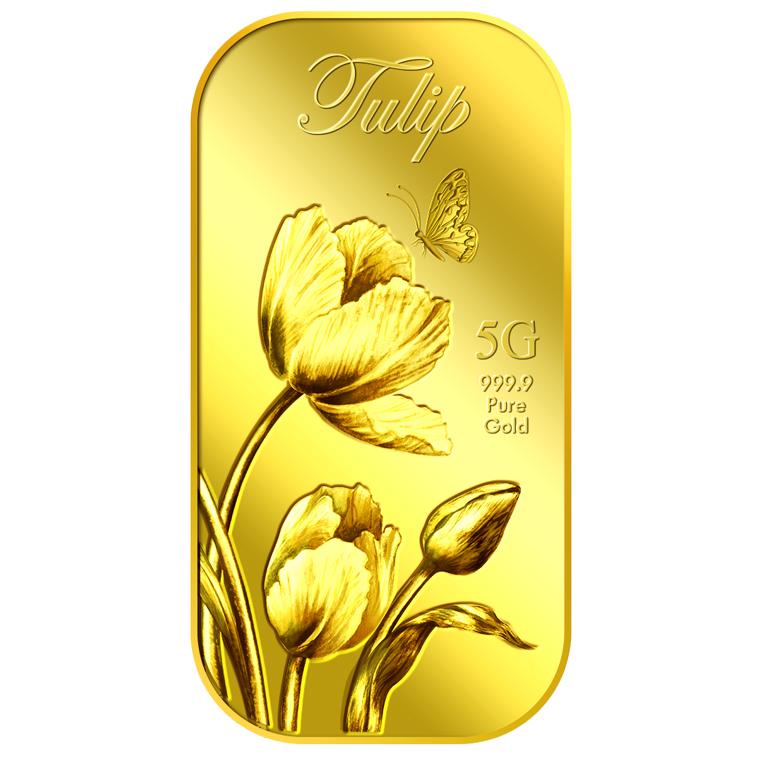 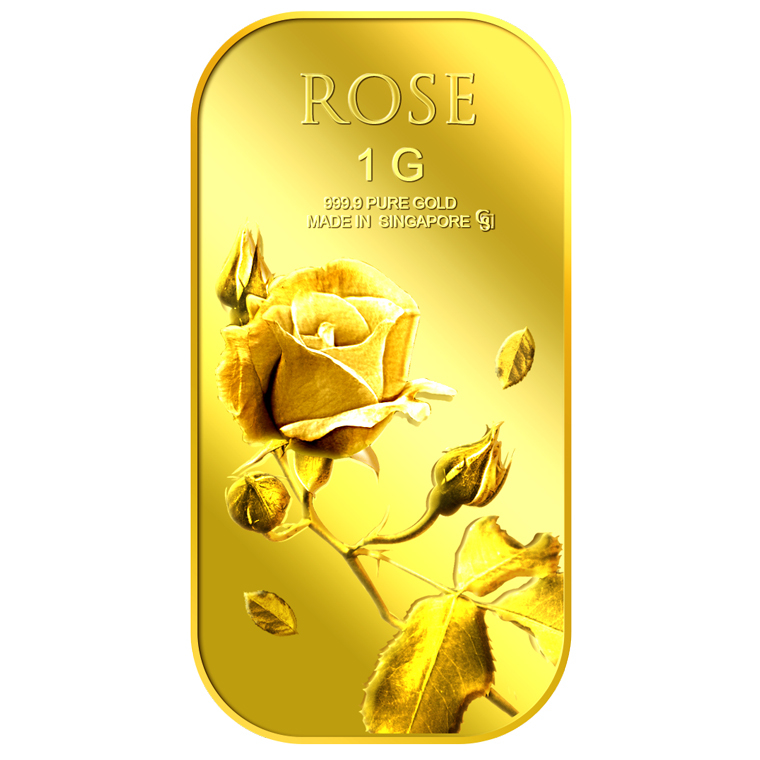 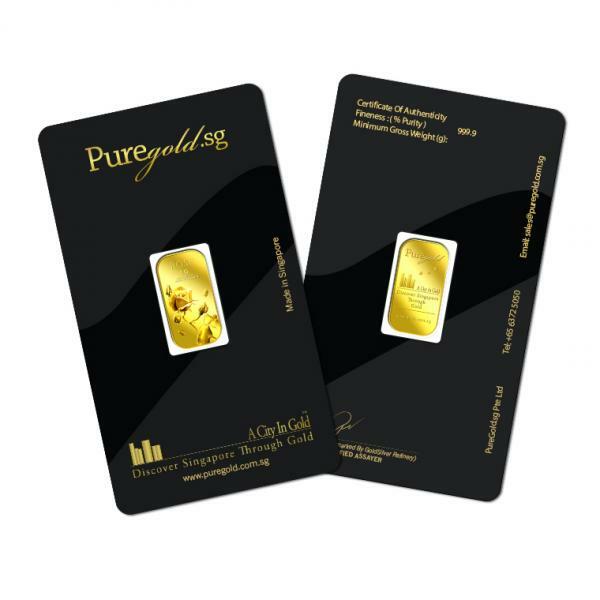 The image of the Rose is embossed on a 1g 999.9 fine gold bar. 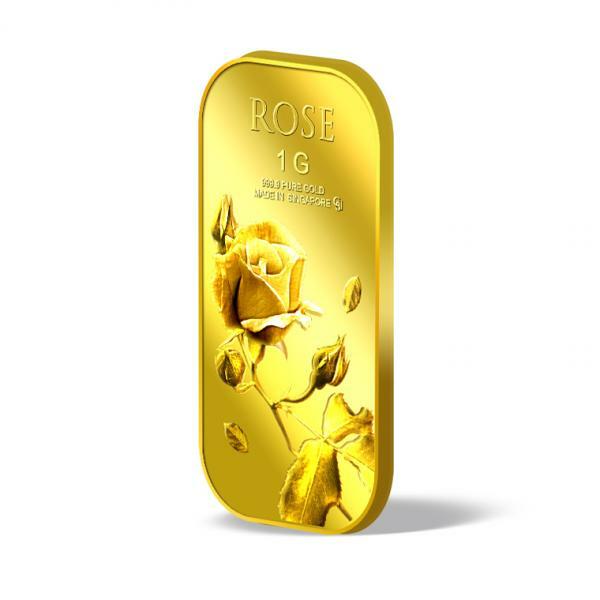 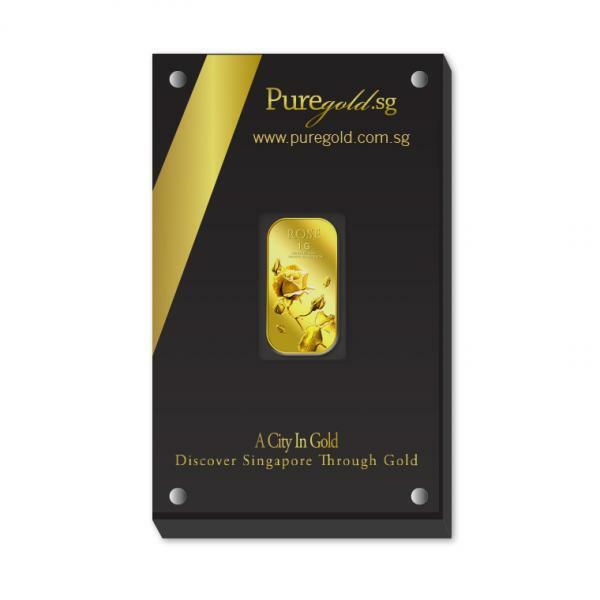 The Rose gold bar design portrays a beautiful image of a stalk of rose with three rose buds and attached leaves. 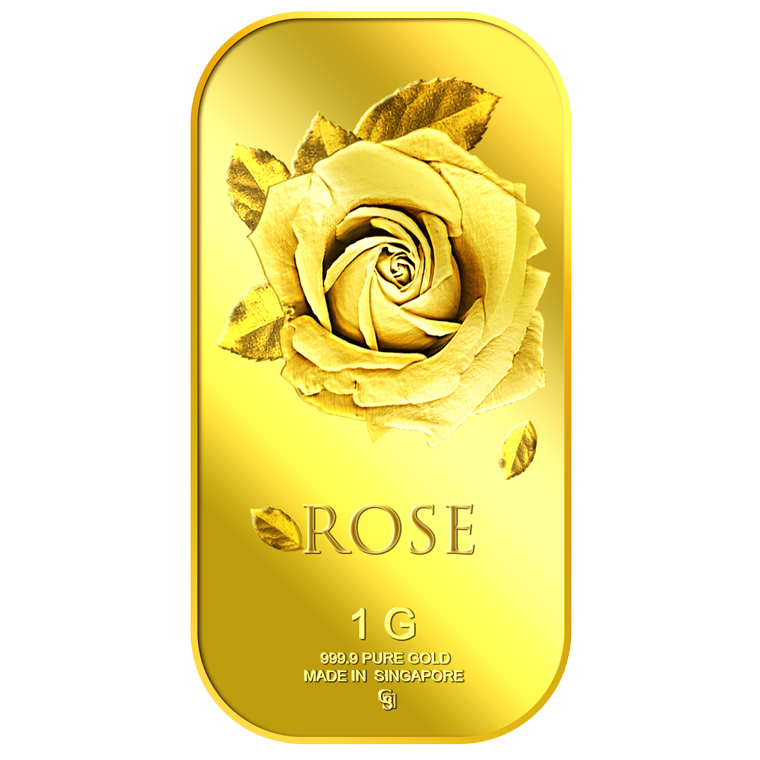 It also has two smaller leaves floating on each side of the stalk of rose. 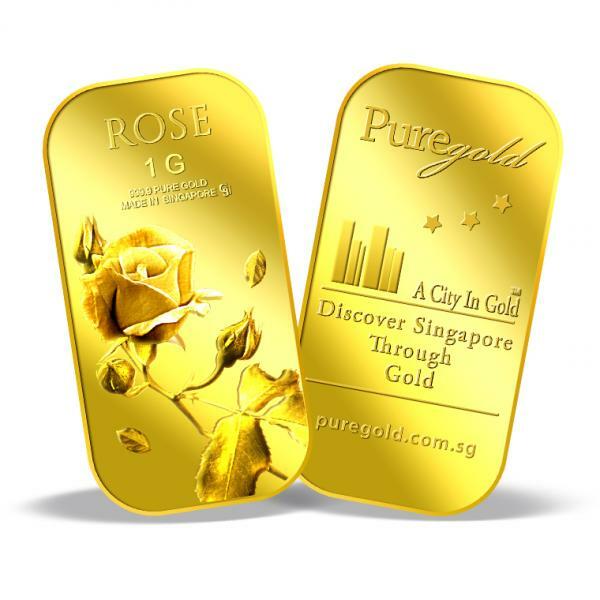 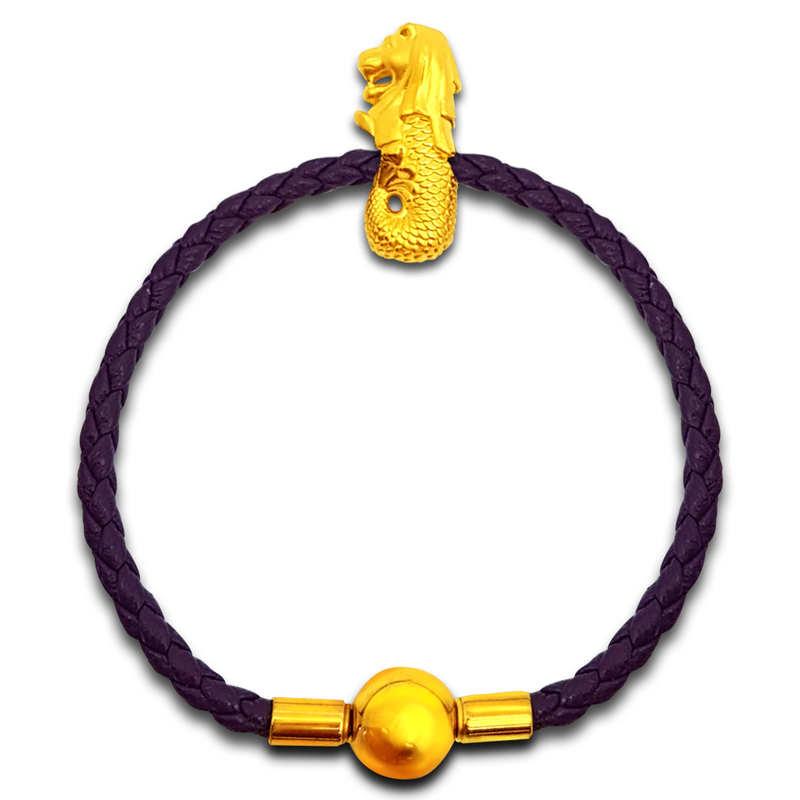 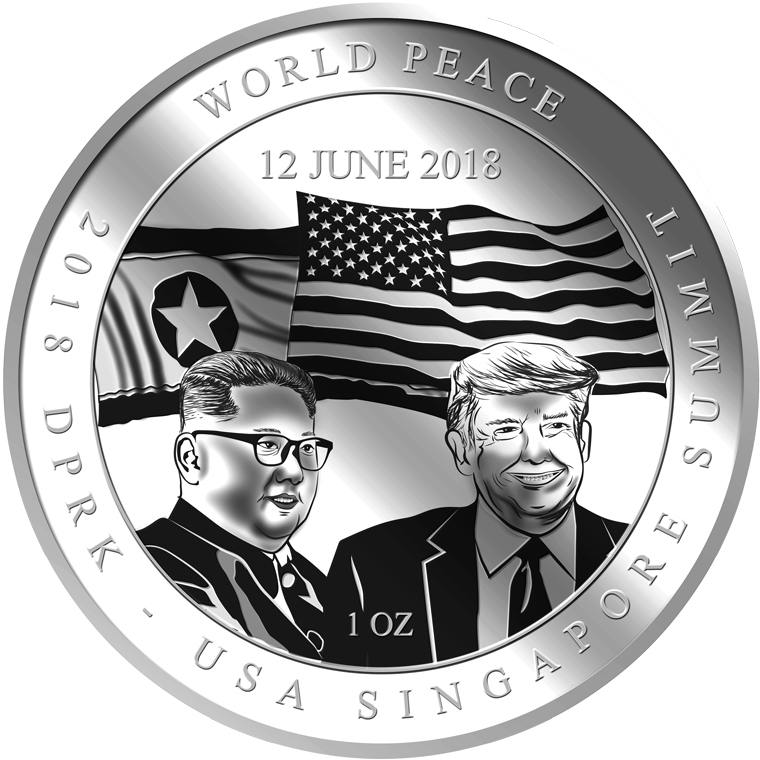 The design also includes the inscription ROSE, MADE IN SINGAPORE, the bar’s weight and fineness and GoldSilver Refinery’s “GS” logo mark.